The most popular theory of the origin of Tai Chi Chuan, however, concerns the Taoist priest Zhang San Feng (pronounced – and sometimes spelt – Chang San Foong), who lived towards the end of the Song Dynasty in the 13th century. After graduating from the famous Shaolin Monastery, the fountainhead of Shaolin Kungfu, Chi Kung and Zen, Zhang San Feng continued his martial art practice and spiritual development in the Purple Summit Temple on Wudang Mountain, which is one of the most important of the sacred mountains of Taoism. One day Zhang San Feng witnessed a fight between a snake and a crane (some documents say a sparrow), and this inspired him to modify his comparatively hard Shaolin Kungfu into a softer style which was then known as Wudang 32-Pattern Long Fist. This later developed into Tai Chi Chuan. Zhang San Feng was the first master to discard external training methods like hitting sandbags, jabbing palms into granules and practising with weights, and to emphasise internal methods like breath control, chi channelling and visualisation. He is thus regarded as the first patriarch of internal kungfu, which includes Tai Chi Chuan, Pakua Kungfu and Xingyi Kungfu. Most Tai Chi schools today honour Zhang San Feng as the founder of Tai Chi Chuan. The notable exception is Chen Style Tai Chi Chuan, for reasons which will be explained later. The following “Song of Silent Sitting”, taken from The Secret of Training the Internal Elixir in the Tai Chi Art, which was said to have been written by Zhang San Feng, shows that the original aim of Tai Chi Chuan was spiritual fulfillment. The impulse is at yuanguan. One yin and one yang brewing in the internal cauldron. Nature must be enlightened, life be preserved. Don’t rush, let the fire burn slowly. Let tranquility and spontaneity be the source. Both the baby and the red lady are perfect. All over the body vital energy arises. Who can know such a marvellous experience? It’s like a dumb person having a beautiful dream. Without wu and ji there is no elixir. The spirit radiates throughout 3,000 worlds. The red lotus blossoms in the middle of night. A thunderous roar shatters heaven and earth. Heavenly music fills the sky in full harmony. Marvellous in its mystery, mysterious in its marvel. All phenomena are born in the union of heaven and earth. Saints are buddhas, buddhas are saints. Now I realise all religions are the same! Offer a joss stick and practise meditation. If you are deluded, you’ll miss the chance. You may have to wait for a million aeons. The blind go into a deep forest to practise. Letting out the ultimate secret is a heavy sin. Breaking the gate of mystery to reach the marvellous. Get a master early to develop your elixir. Is the elixir of longevity and immortality. Do not regard spiritual cultivation as just an ad hoc task. Before a pearl of elixir can be obtained. It’s by the Taoist Priest of Purity and Void, the Saint San Feng. Purposely written concisely in symbolic language to prevent the arcane knowledge from being revealed to the uninitiated, this song provides both the philosophy and the method to attain the highest goal in Tai Chi Chuan, Taoism or any spiritual discipline. Spiritual development in Tai Chi Chuan will be explained in more detail in Chapter 21. Yuanguan, dantian, niyuan and zhongyuan are various energy fields in the body. Kan refers to the abdomen; wu and ji refer to the circulation of vital energy round the body in a chi kung art known as The Small Universe. Yellow woman, baby, red lady, dragons, tigers and golden cockerel are symbolic terms describing the application of mind and energy in harmonious unity to produce a pearl of elixir or an internal illumination. Shadowless tree is an allusion to Hui Neng’s “Bodhi is not a tree”, which is a Zen way of saying that ultimate reality is formless; the four true principles are the Four Noble Truths, which form the basis of the Buddha’s teaching. These two references, as well as other concepts in the song, reflect the Shaolin teaching of Zhang San Feng. The evidence for the existence of Zhang San Feng is impressive, although some scholars say that he was a myth. Erected on Wudang Mountain are two huge stone tablets honouring him as a Taoist saint, one decreed by the Ming emperor Seng Zu, and the other by the Ming emperor Ying Zong. 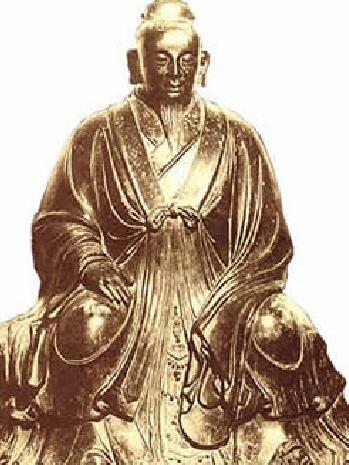 The Imperial History of the Ming Dynasty recorded that Zhang San Feng was born in 1247, learned Taoism from a Taoist master called Fire Dragon at Nanshan Mountain in Shenxi, cultivated his spiritual development for nine years at Wudang Mountain, was known by the honorific title of “the Saint of Infinite Spiritual Attainment”, and was the first patriarch of internal martial arts. The Records of the Great Summit of Eternal Peace Mountain mentions that he studied the yin-yang of the cosmos, observed the source of the longevity of tortoises and cranes, and attained remarkable results. Collections of Clouds and Water describes him as carrying his lute and sword on his back, singing Taoist songs, working in the mountains, and studying the marvellous secrets of the cosmos.